The 'Maze Runner' is the one biggest YA dystopia franchises and unlike other series in this genre the filmmakers decided to adapt the final book as one film instead of splitting it into two. 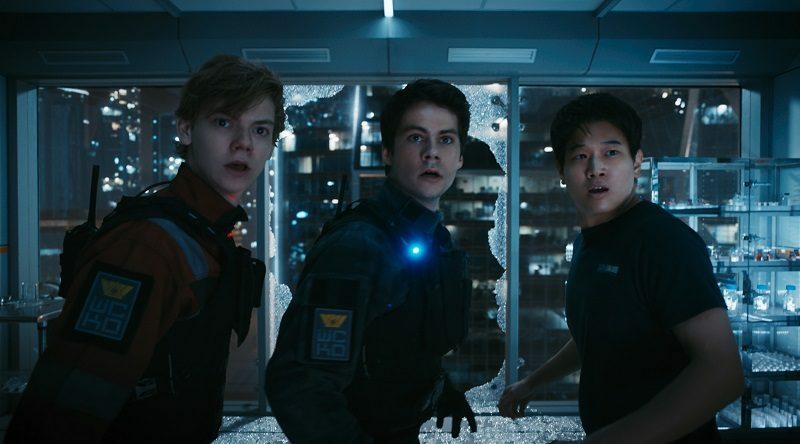 Six months after Minho (Ki Hong Lee) has been taken by WCKD Thomas (Dylan O'Brien) and his friends launch a daring rescue mission. Although unsuccessful Thomas and the Gladers find out where Minho has been taken, the last city in the world. 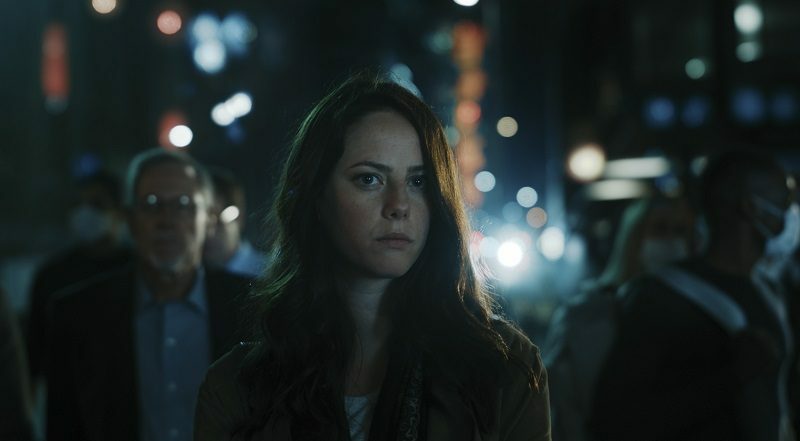 In the city Ava Paige (Patricia Clarkson) and Teresa (Kaya Scodelario) are desperately looking for a cure for Crank virus with time running out because the virus has become airborne. Out of all the YA films that tried to challenge The Hunger Games' crown Maze Runner was the closest. The first Maze Runner had a simple set up of a group of teenagers are trapped in a mysterious village surrounded by a complex network of mazes and have no idea how they got there whilst the second expanded on the outside world. 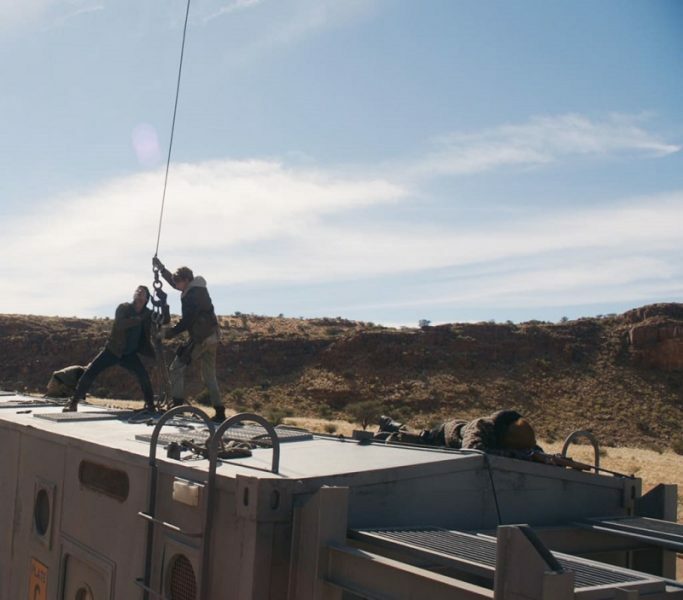 The series has had some strong action sequences and special effects, especially for the modest budget. The Death Cure started with an excellent Mad Max-esque chase sequence and the final film continues the series' high standards for action and special effects. The series also had a strong horror element - the Cranks are essentially zombies, mindless creatures that only crave flesh. Because of the PG-13 rating the violence is mild but these moments are still atmospheric and the make-up on people who have changed is impressive. The Maze Runner has been a series that compared to The Hunger Games. The books were written for the same target audience, both series have a similarly aged protagonist and they are both set in a post-apocalyptic/dystopia future. The Death Cure has a number of parallels to The Hunger Games: Mockingjay - Part II. Both films see their heroes having to infiltrate the enemy city and end up being in the center of a revolution. As Thomas, Newt (Thomas Brodie-Sangster) and their allies raid their actions start a chain reaction that could be the final death nail for the dystopian regime. The second half of the huge revolution sequence - which the heroes get caught up in. The YA dystopia as a genre is in decline. After the success of The Hunger Games there were many imitators – like the Divergent and Maze Runner franchises. But there has been a decreasing level of audience interest. The third Divergent film, Allegiant, boomed so hard that the planned fourth film was canceled and The 5th Wave was so bad that the rest of the books are not being adapted. Even The Hunger Games series wasn’t immune – the final film was a slog and in my opinion the weakest film in the series. The Maze Runner series also has these issues. The first film was the best because of its taut mystery set-up and the second one film was The Walking Dead in the desert. The third one had a promising start with the rescue mission: the series turning in a teen-friendly version of Mad Max. But after that The Death Cure falls into familiar territory like other YA dystopias. A joke is all these films blend together and there is an air of truth to it. These films have the same type of central premise: they are centered on a teen character who happens to have something special about them which makes key to saving the world, leads a group of similarly aged protagonists having a political and revolutionary element. I do have a soft spot for The Maze Runner series even if there are plot and logic holes. Ava Paige is given an expanded role and it adds to the complexity of the character. She is a woman who conducts some horrific experiments on teenagers but she is desperate to find a cure - so has an ends justifies the means approach. Paige is trying to save the human race which is an evil scheme - even if she having to use evil means. As Spock said ‘the needs of the many outweigh the needs of the few.’ This is the same view Teresa (Kaya Scodelario) developed having betrayed the Gladers at the end of The Scorch Trials. She has a poignant subplot which to cure a young girl with the Crank virus. The Maze Runner has an interesting setting because of its double apocalypse and Wes Ball ensured that the final film in the trilogy has some thrilling set-pieces. However, it is clear that the franchise is running out of ideas so it’s better to it quit now.